Textbook publishers have but a fleeting opportunity to sell their books to students. Each student for that Psych 101 textbook is replaced from one semester to another. Despite owning “franchise” titles which hold high value for the purchase decision makers – administrators, board members and faculty – the student is generally indifferent, exerts little control over the selection of this content and frequently they don’t even buy it. In the best of cases, the publisher has a ‘one-off’ relationship with the student and over the past 15 years the only thing making this a sustainable model for publishers has been the constant raising of textbook prices. Looking forward, sustainability for textbooks publishers will be defined by the significant macro-economic changes which are forcing them to reexamine every aspect of their business – no longer just the price, but their addressable market, the concept of ‘product’ and their delivery options. Some publishers, such as Cengage, are showing flexibility and creativity as these challenges manifest, but many will find it difficult or impossible. 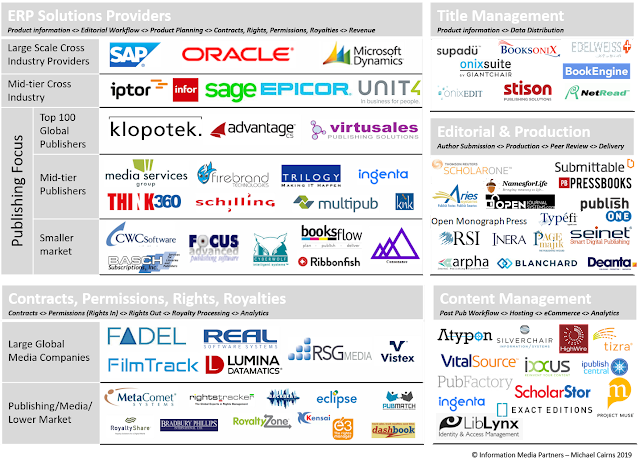 My consulting work with publishing company executives provides me with a unique opportunity to evaluate how publishers are addressing these changes. Success is far from certain as more focused and nimble competitors present themselves. Market expansion: The order breaks down. The paradigm for delivering education content is largely the same as it was 100 years ago: Top down, prescriptive and generic. In today’s environment, as technology and culture change at an ever-faster rate, it becomes increasingly clear that not only do our skills not match basic job requirements, but they fall short at an ever-increasing rate. So, education needs to do two things: Provide a solid basis for students entering the workforce and supply a mechanism to further develop and expand skills to meet new and changing job requirements across their career. The good news for publishers is that their addressable market has expanded significantly: There are 200 million people of working age in the US. One particular issue facing college students concerns the relevancy of their education program. The bottom line is will it provide them with meaningful employment when they graduate? (43% of college graduates are underemployed in their first job). Evidence shows that students (and their parents) are becoming more discriminating about education choices based on desired outcomes, and prospective students are forcing schools to provide real data that proves the ability of the school to graduate employable students. Additionally, these students are also exerting influence over the career management advice and skills guidance they receive during their schooling. As students question the practicality and relevancy of their educational choices and concern themselves more deeply with the outcome of their education programs, we will see a breakdown of the traditional four- year degree program. Students will increasingly want to ‘drop in and drop out’ of structured education as they make early career choices, adopt new interests and seek fresh skills. This doesn’t mean they won’t graduate with BAs and MBAs but they may also get certifications, credits, badges and other credentials. Collectively these awards establish core foundations and will contribute credits toward traditional degree programs and give employers confidence in the abilities of the student. Parchment as one example is helping students in this space. So education will not end with the “traditional” degree. Recent research shows that a newly graduated engineer will hit a career roadblock within 10 years of graduation. That exerts tremendous costs on the employer not least because many workers exit their chosen career at this point. Businesses also suffer as they must continually find and train brand new employees. A far better and more cost-effective outcome would be for employers to develop proactive continuing education programs to help employees maintain and develop their skills. We are beginning to see publishers, educational institutions and businesses partner to create a broader market for their content, materials and programs. Education and life-long learning programs tied to continued employment success will eventually play a far larger role in our lives from ‘cradle to first job’ to ‘cradle to retirement’. Increasingly the greater market opportunity for education is not in the delivery of foundational skills (K-16) but in the delivery of life skills, career-based programs and personal fulfillment. As noted, this market is several orders of magnitude larger than the market for traditional education. Traditional textbook publishers are adapting and changing to address the larger market opportunities springing up and some have made acquisitions to broaden their product lines. But more fundamental changes are in play. When education needs to be delivered ‘on demand’, the content must be decoupled from traditional “containers” and processes. This is happening fastest around the edges of the traditional education marketplace which is developing into a vibrant and expanding marketplace, of ‘alternative’ education services and providers. These encompass skills-based training (such as code academies) as well as companies like UConnect which help students pass assessment and accreditation tests. Additionally, traditional modes of education delivery are being expanded as colleges and universities leverage their brands and educational reputations to wider regional and global markets. Companies such as Embanet, 2U and Wiley offer Online Program Manager (OPM) solutions to universities to do just this and Wiley recently paid $200mm to acquire Learning House an OPM provider. Textbook content can be expensive to produce, franchise product market share can be hard to break down and direct connection to students hard to establish. In a decoupled world, business cases, problem sets, test prep and other similar components can attain more value than a full textbook especially when those component items are tied directly to achievement and/or certifications. This environment provides new market entrants the opportunity to think differently about the competitive environment and dispense with old assumptions about content development, marketing and sales. Perhaps creating a whole educational program is not the right approach to entering the market. I met a company recently named UConnect. They are not an ‘educational publisher’ in the traditional sense, yet they have been able to draw a direct connection between the 'publishing' content they produce and student achievement. UConnect is building a highly profitable and expanding business based on creating problem sets, test prep and achievement tests tied to established test programs such as MCAT, LSAT, NCLEX and even SAT and AP. Not only is their approach to “content” creation (building test modules) different from traditional publishers but their subscription model for students is easy and simple to understand. Proof of their different approach and their aspirations can be seen in the types of employees they are seeking to hire. UConnect understands that in a decoupled content environment they can draw a distinct line between the students skills and knowledge – which their products help assess – and the students’ ability to pass a critical achievement test. Delivery isn’t only about the method of delivery, but also about the form and function of the delivery. If education occurs increasingly throughout a person’s life and career, the delivery can’t (only) be via a structured program. Those companies and institutions which benefited from the old paradigm where methods were tightly prescribed, and outcomes hazily defined (or completely ignored) will need to adapt or die. Partnerships between traditional publishers and corporations as well as investment by large companies like Oracle in learning platforms indicate how important the post-college education market has become. Employers have a lot at stake: They want to retain employees who have basic skills when hired to easily source new skills over their career to match the company’s changed priorities. HR policies will not only become oriented around career development but should also become competitive advantages. Publishers which maintain large content libraries have advantages if they can de-couple that content from traditional packaging (as do legacy education institutions, which still retain significant market brand power). UConnect’s product offering genesis evolved out of a medical student’s specific problem: How to better prepare for the MCAT test. By placing a relentless focus on the goal of the student (acing a test) the company has expanded their products significantly and grown dramatically. All traditional publishers have test banks, but they don’t necessarily think of them as foundational or standalone products (or product platforms in and of themselves). Their publishing activities are still tied to the limited textbook ‘container,’ which is a liability in a decoupled world. Another advantage UConnect (and companies like them) have established is a direct sales relationship with the student and they use this access to seek their advice during their product development cycles. This is very different from the model of traditional publishers who rarely dealt directly with students and certainly would not allow them an active role in the product development as UConnect does. The dynamics of the education market are changing rapidly, in part due to macro-economic changes in the way education supports career development, corporate objectives and student fulfillment. We all want to feel valued and fulfilled in our personal and work lives and how we interact with learning sources will become more dynamic and more evenly distributed over our lives. Current and future generations of K-16 students will expect to be continually educated over their lifetimes and traditional publishers, institutions and employers will need to position themselves to support those expectations. And if that is not enough change, the direction of education on a global level will be even more profound as globalization creates large middle-class populations in developing nations who will demand education programs to support their personal and professional objects. Publishers and institutions which fail to understand the relevance of the macro changes impacting education and fail to position themselves to participate in the market for career and life long learning will be pushed aside. The bigger market opportunity will dwarf traditional education markets and will produce larger, more aggressive competitors and, if traditional education players aren’t ready, they will fail their biggest test. Michael Cairns is a business strategy consultant and executive. He can be reached at michael.cairns@infomediapartners.com or (908) 938 4889 for project work or executive roles.